Prior to Diamond Engagement rings common appearance on women in the U.S culture in the 1930s, women were given colored stone gems such as Opals, Rubies, Sapphires and Turquoise. De-Beers created a marketing campaign that targeted women by convincing them that they are entitled to a diamond engagement ring from their fiancé. As you can imagine, this campaign has also burned a hole in men's pockets for having to prove their love and devotion with something more special than just a colored gem. For those who have found their One & Only, you're most likely on the quest to finding the perfect ring. There are many different styles of rings. You have the traditional Solitaire ring (just the center stone), Eternity set (diamonds around the shank? and the Halo setting (diamonds around the center stone). One is not better than the other; it's a matter of preference. 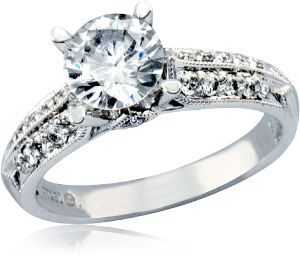 As for the trend of 2013, women are looking for Halo setting; it causes an illusion for the center stone to seem bigger. After you have chosen the setting, it's time to get down to the center stone, The Diamond. Purchasing a ring is a big decision. In most cases, it only happens once in a lifetime. You want to guarantee your wife's satisfaction for the next few years, so be sure to put effort into the process. 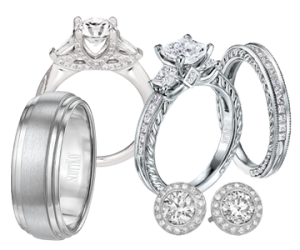 Take the time to shop around and look at different diamond shapes such as Round, Princess, Radiant or maybe Cushion cut. If you're on a budget, stay away from designer brands. All diamonds come from the same earth, so why pay a premium just for the name. Besides that, it's a tradition to get your wife a bigger and better diamond for the 10th year anniversary. If your love and commitment for one another reached 10 years together, then she's worth every carat. Interested in buying or selling a Diamond Engagement Ring? While selling your used gold jewelry sounds like a simple method to make some extra cash, you can get shortchanged if you don’t do your research beforehand. If you suspect that a jewelry dealer has broken violated any of these compliance requirements, please consult your closest consumer bureau. These authorities are affiliated with the DCA; an organization that grants the license of over 4,000 jewelry businesses in the NYC/tri-state area. In 2011, the DCA concluded that there was a mere 25 percent compliance rates among gold jewelry business. What's shocking is that this data was obtained from a follow-up inspection of businesses that were given violation notices in advance. In 2012, the DCA conducted undercover inspections in hundreds of stores across the region. The findings were quite disturbing and a huge warning sign for gold buyers. In fact, on average, jewelry was quoted at half the price of a separate professional appraisal. It should be stressed that so-called "undervaluation" of jewelry is by no means illegal. However, it adds to the case for comparison shopping. It's imperative to familiarize yourself with the new industry regulations. This includes making it compulsory for the gold buyer to disclose exactly how he evaluates the value of the clients' items in addition to disclosing the karats of each item; the item undergoing appraisal must be weighed in plain sight of the customer. It's now mandatory for all gold buying businesses to keep documentation and provide receipts that include the business's license number; address; employee name/title; date of purchase; and description of the item that was purchased. All precious metal businesses are required to obtain a license to operate in New York State. Always sell with the utmost caution and seek reviews and second opinions. After all, consumers are not the only ones vulnerable to gold and precious metal scams in New York. Only a year ago, one of the most reputable merchants in lower Manhattan lost over a hundred thousand dollars from purchasing counterfeit gold bars. Such bars were crafted by a sophisticated criminal ring and are virtually undetectable from the real thing! This is because the criminals discovered a means of hollowing out authentic gold bars and filling them with tungsten. If you've taken upper level chemistry you may know that tungsten and gold are very similar in weight. Besides monetary value, don't hesitate to  appreciate the design value of your piece;  wear that pendant with pride! Nothing is  more timeless than an understated yet  opulent silver fashion statement. Keeping  your jewelry clean will increase both the  monetary and sentimental value of your  prized silver jewelry pieces. You don't need to visit a professional to  clean your silver jewelry. Simply take a  bowl and line the inside with aluminum  foil. After you set your jewelry in the  bottom of the bowl pour just enough hot water to completely submerge the silver; the hotter the better! For the next step you'll need to add equal amounts of baking soda and salt. You only need to let the solution sit for 10 minutes at most. This is because the chemical reaction is converting the silver sulfide (tarnished coating) and aluminum into pure silver (6 Ag0) and aluminum sulfide. It may seem magical, but it's owed to the brialliance of science. If there are any leftover bits of grime, rest assured you can simply add more salt and baking soda until the job gets done! If you're pleased with the end result of this brilliant D.I.Y restoration don't forget to give you're jewelry a good rinse in cool water and pat it dry with a towel. This is one of the best proven methods of caring for silver items. This ensures that you can maximize the true value of your silver or sterling silver jewelry. While you may get an impressive return from selling silver to your local silver buying professional, you can also get a great deal at your local gold or silver jewelry trading party. You can check meetup.com to find these fun little gatherings. They are quite commonplace in Manhattan, Brooklyn and the greater tri-state area. While these are methods may be foolproof ways to clean silver, they certainly aren't foolproof against fools! Always be prudent and ensure that other precious metal, gem, or jewel embellishments won't be harmed by any of these cleaning treatments. For example, turquoise and amethyst can get permanently damaged by such treatments. Pearls are also vulnerable to damage from abrasive substances such as baking soda. Always do your online research and consult a local jeweler for their professional advice. Gold is one of the most sought  after renewable resources on  Earth. 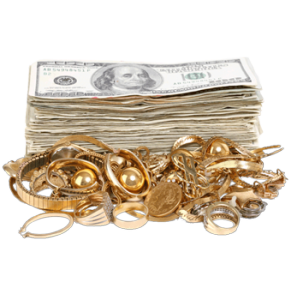 With rising gold prices,  it's sensible to look into selling  your unwanted gold jewelry. Ever since the days of Egypt's  Valley of the Kings, gold has  been prized as the ultimate  precious metal. However, most  people are unclear about how  their gold "weighs in" on today's  marketplace. The main reason is  that gold items vary greatly in  purity. Typically, the content of  these items are indicated by a  manufactures carat engraving. The amount of karats can range from 0 to 14 to 18 to 24; 24 being pure gold. When purchasing gold jewelry, it's essential to make an informed decision, too. After all, some jewelry is worth more than its weight in gold. It's recommended to not make any hasty decisions about purchasing trendy watches or timepieces. Heavy, thick yellow gold chains were all the rage back in the 70's. However, despite their heavy gold content, they are relatively an undesirable fashion accessory these days. Likewise, some of today's hottest fashions will inevitably grow out of favor ten or twenty years down the road. If you are selling gold in New York on a classified site such as Craigslist it's important to exercise caution and common sense. One of the most overlooked aspects of jewelry is the labeling system. For example, a 14 karat necklace isn't always labeled as 16k; another common denomination for this purity is 14/24. It's important to bear this in mind so you don't unknowingly advertise it as 24 carat jewelry. Such false advertising can have serious legal repercussions. This is especially true if you're selling in bulk. Many gold buying companies are successful due to their large advertising expenditure. Since the 1950's, surveys have shown that Americans are more trusting of products that are advertised over TV or radio. By buying into this naivety you can lose out on a lot of potential cash for your jewelry; be it resale or gold meltdown. Window shoppers rejoice! Whether you're paruzing the Upper East Side of NYC or a tourist on the fifth avenue strip, the New York area offers a plethora of great options for selling your unwanted gold jewelry. Unlike mail-in or online services you won't have to pay a premium for convenience or shipping and handling fees. If you want to be on the cutting edge of silver and precious metal investment opportunities, look no further! We've been following a few precious metal bulls that are in the midst of a renaissance. When you grab the bull by the horns the stakes are high! We have zeroed-in on some of the most lucrative investment opportunities of August. Canadian junior Dolly Varden Silver (TSXNULL) is in a very promising position. The company has recently acquired a mining site in the mountainous region of north-western British Columbia. It's important to note that these are mature mining prospects. Nonetheless, a study in the 1980's concluded that there's a whopping 6 million ounces of silver. The TSX listed company is looking to identify a new potential target located further north of its existing sites. Another exciting resource companies to follow is Reservoir Minerals (TSXVNULL). What makes this particularly enticing is that the company has discovered that the high grade silver prospects in its Serbian property is implicit of the presence of other minerals; this includes zinc and high-grade lead. This is very much hitting two birds with one stone. Lead and zinc are crucial components in manufacturing, construction, electronics, and nanotechnology. In addition to silver, Reservoir has initiated a very promising compound gold ore mining project. Specifically, it is a joint venture with industry veteran; Freeport-McMoRan Copper & Gold. Freeport has committed to fund all costs associated with mineral exploration until Reservoir gets credit approval from affiliated banks. Reservoir is also diversifying its mining campaigns by investing in feasibility reports in the African nations of Gabon and Cameroon. We'll be watching Bear Creek Mining like a hawk! Recently, news hit that the government of Peru may approve a community appeal that will finally allow the company to commence mining in Corani and Santa Ana. This is due to the local job creation and economic benefit of the new operations. After an in-depth feasibility study it's apparent that there's a whopping 500 tonnes of silver; over half of which can be easily extracted from the prospects' reserves. If you're interested in selling your silver, you can do do right here, with Global Gold & Silver. If you're happy with your career you should dress the part to reflect it. Traditionally, gold is the ultimate accessory to convey wealth. After  all, this  metal is renowned for retaining it's value. Why do you think  America and a  plethora of other countries used to use the gold standard? Since the  beginning of civilization, it's been seen as a safe haven from devalued  currency and inflation. Despite it's fascinating history, gold isn't always in vogue. In the past  twenty  years gold has developed an associated with the Nouveau  Riche. Just look at  the palatial Villa De Versailles in Malibu. It's  absolutely atrocious. In the  1990 film Wall Street, the villanous broker  Gordon Gecko was know for his  tacky fashion and gold watches. If you  keep up with the trends and are  involved in the fashion industry you'll  understand the unusual stigma behind wearing gold. Yellow gold jewelry can often look garish. 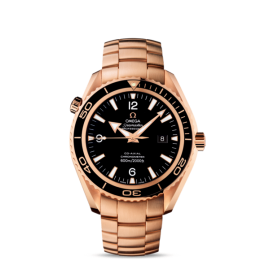 This is why we recommend selecting a timepiece with rose gold. Rose gold is truly a gorgeous color. Some of the most beautiful rose gold watches can be found at fine retailers such as Cartier and Tag Heuer. Rose gold is a great choice with a lot of sentimental value. During the pre-war era the technology didnt exist to find gold prospects. As a result, the precious metal was scarce and jewelry craftsmen mixed gold with other metals. Admixture with copper is what achieves this glowing rosy hue. While yellow gold is often hard to pair with certain colors, rose gold can go with almost any outfit. This is thanks in part to its more neutral hue. In fact, fashion experts agree that you can n mix it with other alloys such as stainless steel or silver chains. It's a sophisticated fashion statement that will set you apart from the overdone carbon black trend. Undoubtedly, it's also a great investment that will not only retain it's value but will be in vogue for generations to come. If you're looking to sell your watch, Global Gold and Silver can take it off your hands for a great payout. Besides monetary value, don't hesitate to appreciate the design value of your piece; wear that pendant with pride! Nothing is more timeless than an understated yet opulent silver fashion statement. Keeping your jewelry clean will increase both the monetary and sentimental value of your prized silver jewelry pieces. Gold is one of the most sought after renewable resources on Earth. With rising gold prices, it's sensible to look into selling your unwanted gold jewelry. If you're happy with your career you should dress the part to reflect it. Traditionally, gold is the ultimate accessory to convey wealth. After all, this metal is renowned for retaining it's value. Why do you think America and a plethora of other countries used to use the gold standard? Since the beginning of civilization, it's been seen as a safe haven from devalued currency and inflation.